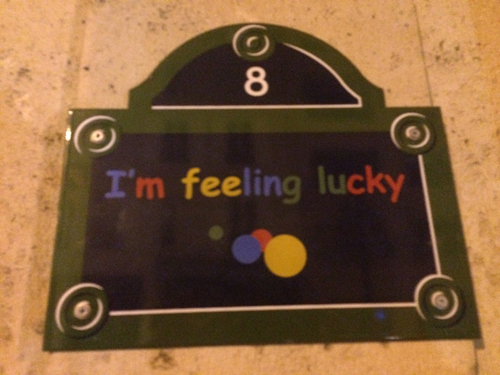 I was lucky enough to attend the Europeana loCloud Hackathon at the Google Cultural Institute in Paris, on February 11th. While I was too late to actually do any hacking with Europeana data, I did get to witness some of the interesting tools being developed using the loCloud API, and got a tour of the building. The Google Cultural Institute has emerged from the Google Art Project, which has now digitised over 6 million artworks, and is effectively an umbrella for a number of digitisation projects in the cultural heritage sector. 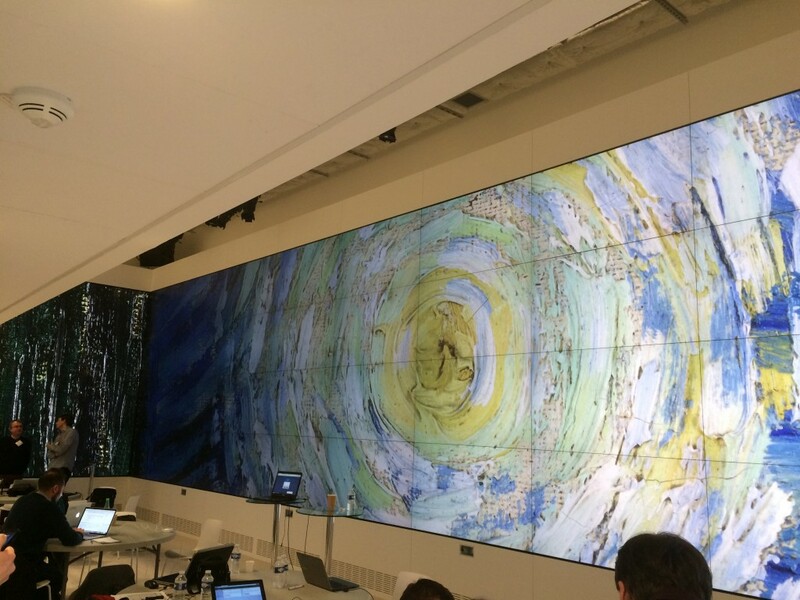 We were shown the AV suite, which really puts any other such room that I’ve been in to shame, with its high resolution imaging technology, developed for the Art Project. We were able to see, for example, tiny cracks in paint in Van Gogh oils, giving an insight into how he worked (apparently these cracks were caused by the lead he put in his white paint). We were also given a souvenir to take away- a Google Cardboard Virtual Reality viewer. While still in its infancy, this is their solution to the prohibitive costs of such tools; put your android (or iOS, but this is Google, so don’t expect the branded apps on iOS!) smartphone into the cardboard, and tailored apps will allow virtual reality heritage viewing, YouTube videos, games and more. Damien Henry, star of the above video, was at work as we toured: his office is almost completely furnished in… cardboard.